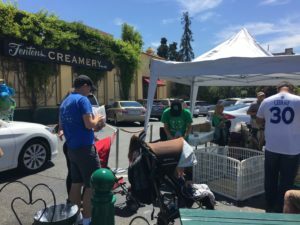 Each July, Alameda County clubs are invited to set up a booth on the weekends at Fenton’s Creamery in Oakland. 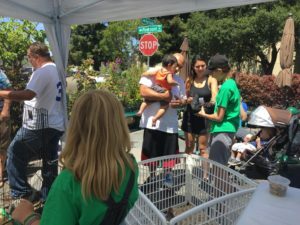 Fenton’s has been the county’s community partner for the past few years and for the month of July, they donate a portion of the proceeds from their special sundae to Alameda County 4-H. 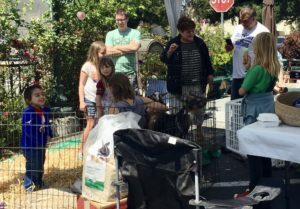 In exchange, we set up the outreach booth, bring animals, crafts and information about 4-H. And we eat ice cream, of course!